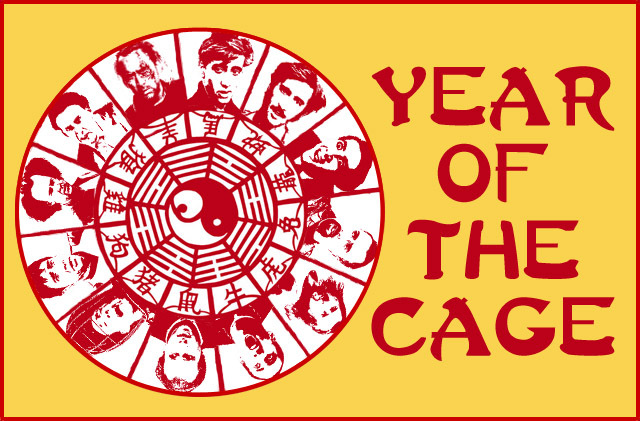 It could be argued that every year since 1981 (well, probably 1982) could be known as ‘Year of the Cage.’ For the past 33 years, Nicolas Cage films have been available for anyone to see. In that sense, every year is ‘Year of the Cage’ — he’s always available for fans, new and existing, to appreciate and enjoy. Why is this Year of the Cage? Well, for starters, #CageClub was created and will run its course in 2015. Sure, we’ll be back every time a new Cage film is available in theaters or on VOD/DVD, but Mike and I are going to crank through his existing catalog in 2015. That alone makes this year the most Cage’d year of my life. As far as the bigger picture is concerned, 2015 is Year of the Cage because he has three (what I can only imagine) tremendous films slated to release this fall. Let’s break them down one by one. This could be the most Cage film ever. I’m almost willing to bet my Cage collection (ha! no way! it’s too valuable!) on the fact that there’s no way this movie comes anywhere close to a movie. This is (almost assuredly) a straight-to-DVD release. But… MAN OH MAN THAT DESCRIPTION. A lot of recent Cage movies seem to have the same type of story: Cage’s family is in trouble, and he needs to save them. Does that mean you only need to watch one? NOPE! You need to watch all of them to truly appreciate his filmography. This movie also has Sarah Wayne Callies, so it’s clear that her acting career after leaving The Walking Dead is going swimmingly well. Few Cages are as poignant as political Cage. I’m not sure what the film’s plot has to do with the BP oil spill, but that’s why we watch these movies! I’m excited for this one because (a) the BP oil spill isn’t really timely anymore and (b) it has Nicolas Cage in it. By the names of the characters, it looks like he’s married to Connie Nielsen (whom I don’t know, but feel like I probably should? ), and may cheat on her with Sarah Paulson. My big question: will Sarah Paulson have one head or two in this movie? CITIZENFOUR is a fantastic documentary. I think I remembered this narrative version was coming out, but I forgot about it. But man, this cast is crazy! In all the best ways. Jo Go-Lev as Edward Snowden, Shailene Woodley as his girlfriend Lindsay Mills, Nicolas Cage and Timothy Olyphant (one of the few actors I revere on the same level as Cage) signed on to play some as-of-now unknown parts, plus Melissa Leo as Laura Poitras and Zachary Quinto as Glenn Greenwald (the two of whom shared Snowden’s story with the world). All directed by Oliver Stone. I mean no hyperbole when I say this could be one of the best films of the year. Will it be great? I don’t know! Will I see it? Will we blog about it? ABSOLUTELY. Welcome to 2015. Welcome to The Year of Cage.